Jordan Grubbs submitted this photo and caption. 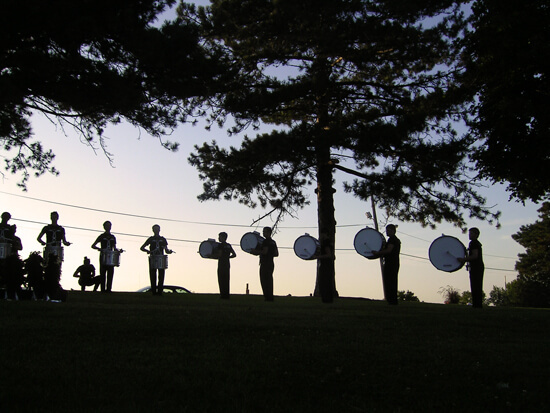 This is a great photo of the Colt Cadets' drum line warming up before the 2009 Open Class World Championship seeding event in Dubuque, Iowa. It was a great warm up that we enjoyed on top of a big hill next to the show site. We went on to have a great show for our home audience. From left to right: Corey Carlisle, Evan Hooper, Evan Saddler, Dylan Oakley, Ben Martin, Jake Boss, Bobby Duncalf, Jordan Grubbs and Ryan Gladden.